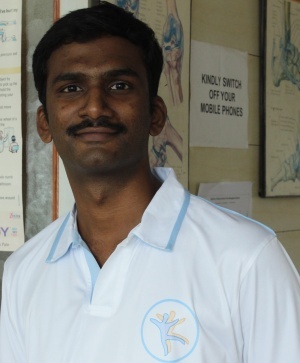 A passionate Neuro-Physiotherapist, who likes to learn, learn and learn. Certification : Cleared the Mulligan Practioner Certification exam in october 2014. Completed online course in “Physiotherapy Management for the Spinal Cord Injuries” conducted by International Spinal Cord Soceity on May 2014. Completed online certificate course on Professional Ethics Course for Physiotherapists conducted by Physio-Pedia along with University of Western Cape, South Africa on August 2013. Completed online training on "Research in Physical Rehabilitation" as part of Continuous Professional Education (CPE) in Physical Rehabilitation at www.rehabmonitor.org. Organized By: Handicap International, Under the Project: “Towards Disability Inclusive Development through a Strengthened Rehabilitation Sector in South Asia” on January 2014. Completed online training on "Amputation and Gait training" as part of Continuous Professional Education (CPE) in Physical Rehabilitation at www.rehabmonitor.org. Organized By: Handicap International, Under the Project: “Towards Disability Inclusive Development through a Strengthened Rehabilitation Sector in South Asia” on August 2014. Currently working as a Clinical Physiotherapist at All India Institute of Physical Medicine & Rehabilitation, Mahalaxmi, Mumbai, Maharashtra,INDIA. It is the apex Institute in the field of Physical Medicine Rehabilitation under the Ministry of Health anad Family Welfare, Government of India. 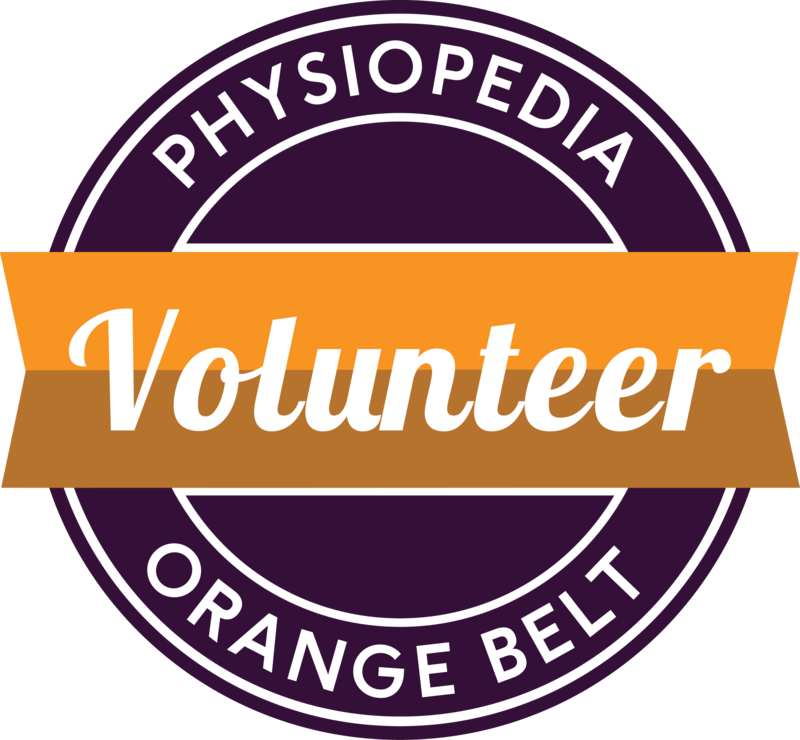 Quality Assessor-Peer Review Team, Physio-Pedia. Member of Rehabaccess - an online forum . Member- Multiple Sclerosis Society of India- Mumbai Chapter. Online Survey ; International Journal of Therapies and Rehabilitation Research (IJTRR) 2015; 4(4): 231-235. DOI:10.5455/ijtrr.00000096. Guest Lecture on "Functional Approach in Physiotherapy" at Governement Institute of Rehabilitation Medicine, Chennai, Tamilnadu, India on september 2013. Presented a Paper on "Effects of Vacuum compression Therapy on sensory Function in persons with Diabetes" at Physio Accord 2014, a national level physiotherapy conference held at Bengaluru, Karnataka,India on January 2014 and bagged third prize . Presented a Paper on "Effects of Vacuum compression Therapy on circulation in persons with Diabetes" at 52nd Annual Conference of Indian Association of Physiotherapistsnational level held at Indore, Madhya Pradesh,India on February 2014 and bagged second prize. Presented a Poster on “MYTHS IN BELL’S PALSY” at SYNERGY-2009, a south India Physiotherapy Conference at Chennai,Tamilnadu, India. This User is a member of the Neurology group,Paediatrics group,Pain group & Amputees group.